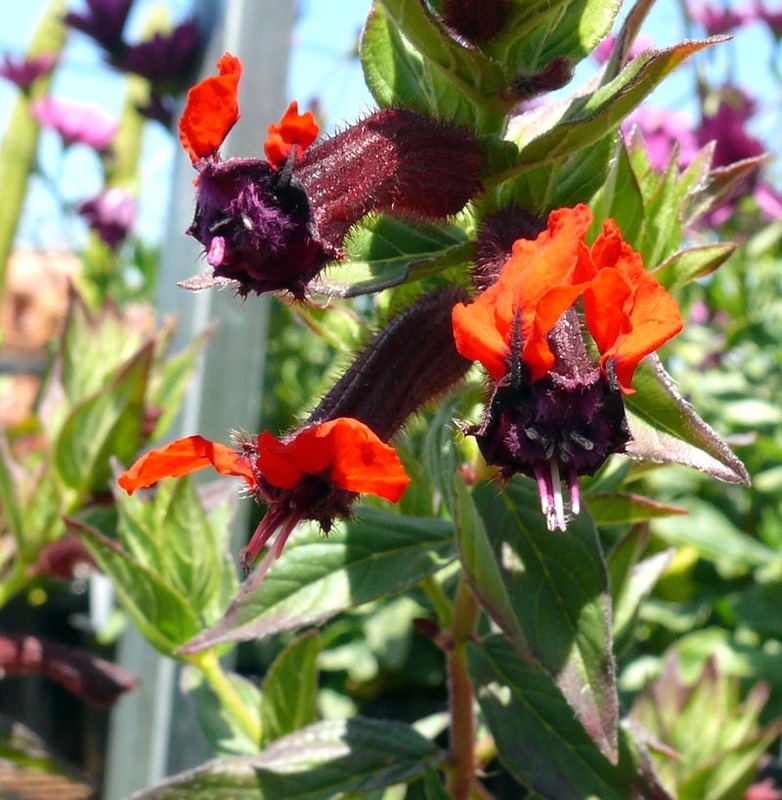 An interesting and easy-to-grow perennial with red-eared bat-faced flowers. Burgundy-tinged green leaves. Low water, drought-tolerant, but a little more water in summer when in bloom to look its best.